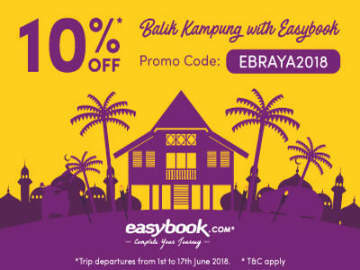 [30 Jun 2018] Use the promo code above at Easybook.com and pay only SGD28 for one-way bus ticket from Singapore to Port Dickson by Golden Coach. The offer is valid for bus trips departing from 1st July 2018 until 30th September 2018 and is not valid for return trip. 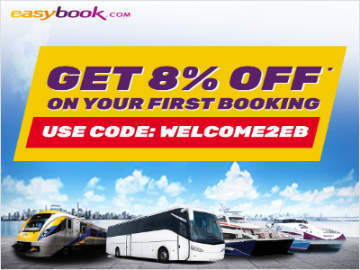 For more information on the promo code, click here. 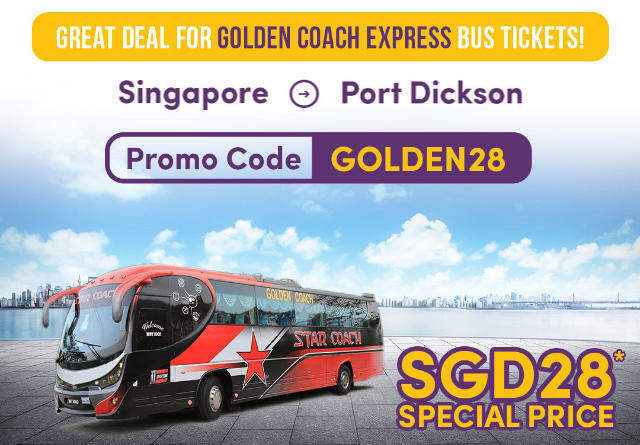 Golden Coach is the preferred choice when it comes to taking express bus from Singapore to Port Dickson. The Golden Coach bus seats are arranged in 2+1 configuration to provide a spacious and comfortable ride during the 4-5 hours trip.